Tar Heel Foundation Solutions specializes in government construction, foundation repair, and commercial piling work. Our crews are well trained in all aspects of helical piling work for boardwalks, tiebacks, soil nails and new construction piers. 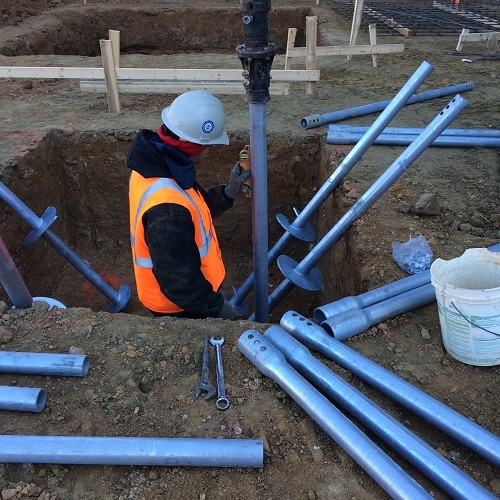 Helical piles installed by Tar Heel Foundation Solutions can be installed in all weather and site conditions and produces no spoils that hamper the job site. From square shaft tension anchors to the largest round tubular helix anchors we have the Earth Contact Products (ECP) helical anchor solution for your next project. Tar Heel Foundation Solutions also can provide ASTM load testing for compression, tension and lateral loads. Our crews will install your deep foundation helical piles to the engineer’s design and provide you with the proof load testing to back it up. Whether your project is an add-on or complete new foundation we have the project managers available to oversee the project and meet your expectations. General contractors around Charlotte rely on us for all of their DOT and Government helical pile needs. From new deep foundations to retaining wall tiebacks and soil nail walls we have the expertise to handle any size project. We work closely with the foundation design engineer to meet his goals and expectations no matter the project type. Contact our project managers to visit job sites and offer expertise and guidance on all types of foundation issues. No matter the requirements or specifications, we will work with you to provide the highest quality helical pile system available. 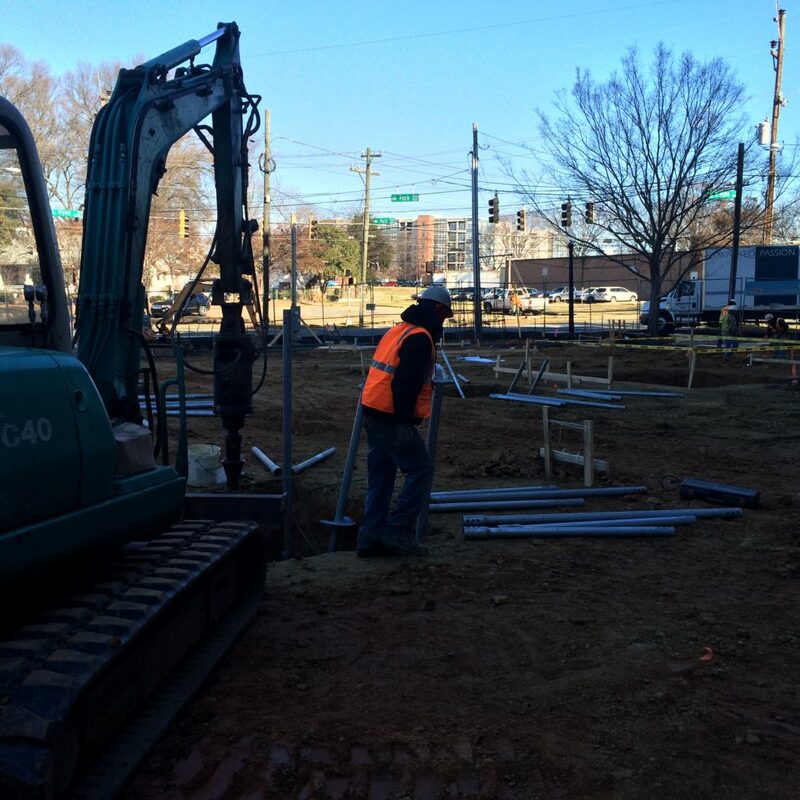 If you have been using concrete piles you will quickly realize why so many Charlotte area general contractors have made the switch to helical piles for their deep foundation needs. For commercial or government contracts in North Carolina, Tar Heel Foundation Solutions can provide helical soil nails, tiebacks, new construction pilings and boardwalk foundation piles in a timely manner and within budget. Contact a project manager at Tar Heel Foundation Solutions today. Tar Heel Foundation Solutions is a full-service specialty foundation pier contractor dedicated to quality, professionalism, flexibility, and affordability. Our support team consists of certified field installers, structural and geotechnical engineers, along with project managers to provide the best solution to fit your needs. In North and South Carolina, we specialize in new construction pilings along with commercial deep foundation construction for general contractors. As the top piling contractor in the are, you can count on us for helical piers, tiebacks, soil nails, light pole foundations, and underpinning work.